The mobile payments industry continues to grow dramatically. 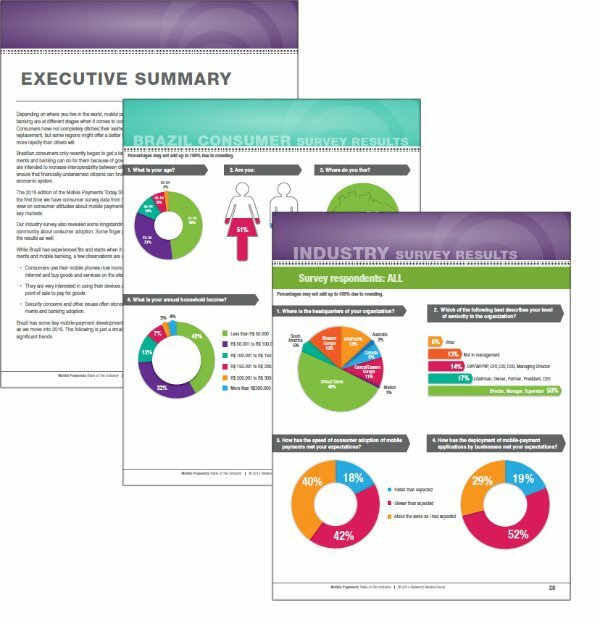 This report provides data from Brazil consumers plus data from those in the industry. How have chosen payment methods changed for mobile phone purchases? Are consumers warming to the idea of sending money to a friend with a mobile phone? Has the use of mobile banking apps increased? How have thoughts changed regarding security? We also asked those in the mobile payments industry to provide their input on consumer adoption of mobile payments. Retailers and foodservice professionals also weigh in on topics such as mobile apps and mobile-optimized websites. In addition to all of this data, find out what industry experts have to say about the current and future state of the industry in our section of commentaries. Also included – individual jpgs of all charts for use in your own presentations.